If you’re in IT, you’re looking to get the most out of your users’ devices and want a management model that makes it easy to do just that. Simple is better than hard, right? The notion that a team for mobile devices and a team for computers is the ideal way to go is a hard pill to swallow for many that are attempting this. For starters, your mobile team — usually a Telecom team — has their own tool to manage their devices. While the computer team — usually IT — is in a similar boat. Ah, the mythical unicorn that is UEM. Seems great in concept — a single tool for all of IT’s woes. But once you peel back the first layer of the onion, you quickly realize that there’s nothing universal about Microsoft, Apple and Google. Workflows to provision, encrypt, deploy, secure, update and support devices are all different. 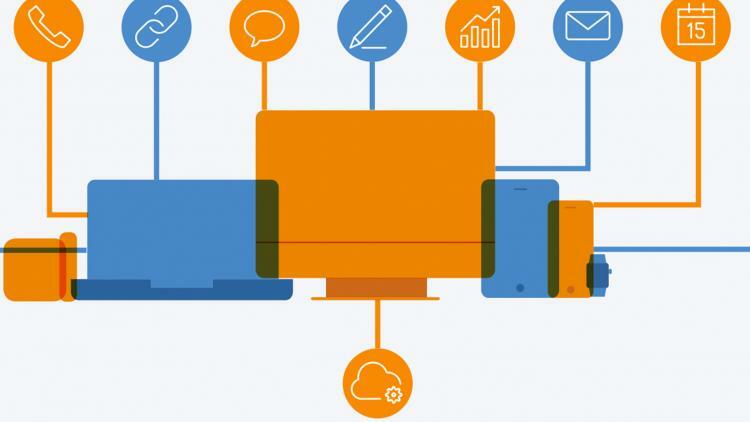 UEM is further complicated by the fact that these solutions have to keep up with the plethora of operating system updates each platform issues. I liken UEM to a buffet. Sure, it seems to have a lot of options to satisfy all the hungry patrons. But once you sit down to dig in, you find that the steak is undercooked, the mashed potatoes are cold, and the ice cream you were promised for dessert? Yeah, that’s not available anymore. 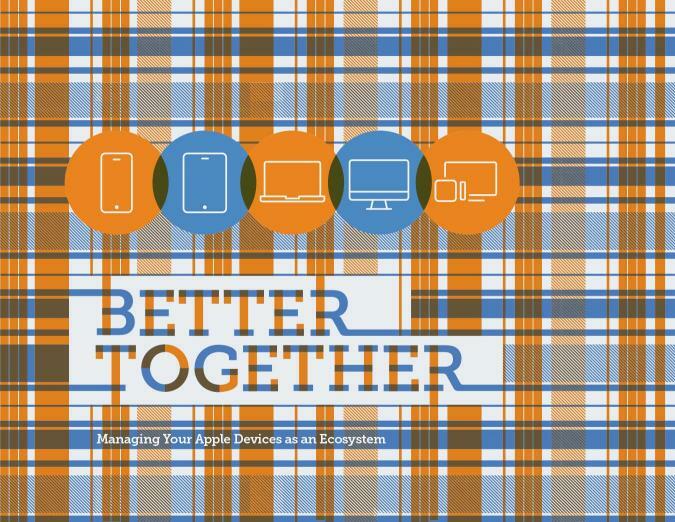 Is there a third, better device management option? 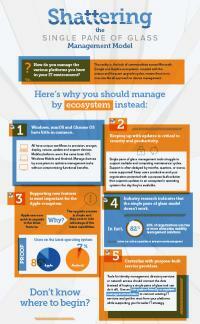 Download the Shattering the Single Pane of Glass Management Model infographic to learn more. In our most recent e-book, we examine how ecosystem management is different to others. We’ll shed light on ways to implement this way of thinking in your environment and explain how you can truly get the most out of your technology purchases.